July 2013 might have been one of my busiest months ever, so I apologize for the lapse in posting. San Diego Comic-Con was wedged in the middle of all of that, as well as some other things. I had two readings, one at a library in Logan, Utah, and another at The King's English Bookstore in Salt Lake City. And on top of everything, I'm still working on a rewrite of The Serpent's Head. But let's take San Diego Comic-Con first. I was on a couple of panels and met a lot of very cool people. For the Full of Sith podcast I got to interview people like Tommy Yune of Harmony Gold about Star Wars and Robotech, The Clone Wars voice actors Stephen Stanton and TC Carson, and Del Rey Books' Erich Schoneweiss. You can listen to all of my interviews with them here. 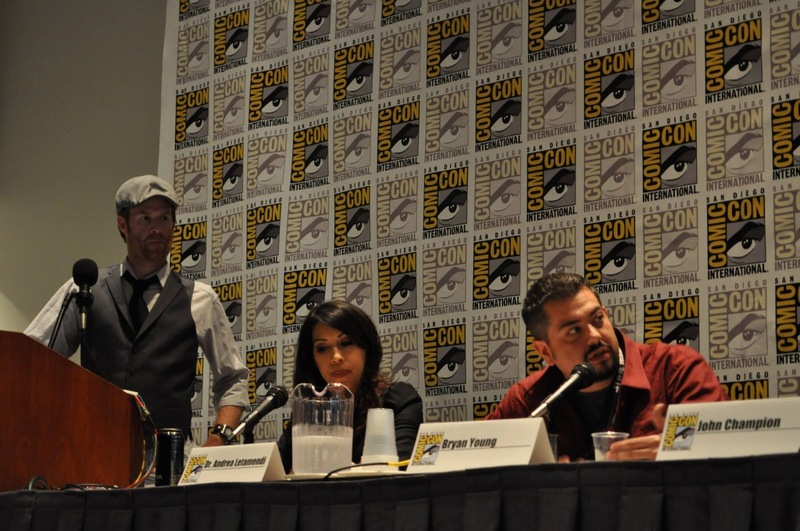 Then I got to participate in the Psychology of Star Wars vs. Star Trek panel debate which was a lot of fun. You can watch the whole thing on Youtube, or you can listen to it on the Full of Sith podcast feed here. The revisions on The Serpent's Head have been a bit more extensive than I thought previously, but so far I think the book is about 200% better and not rushing it has been the best idea I've ever had. There are some other announcements as well. 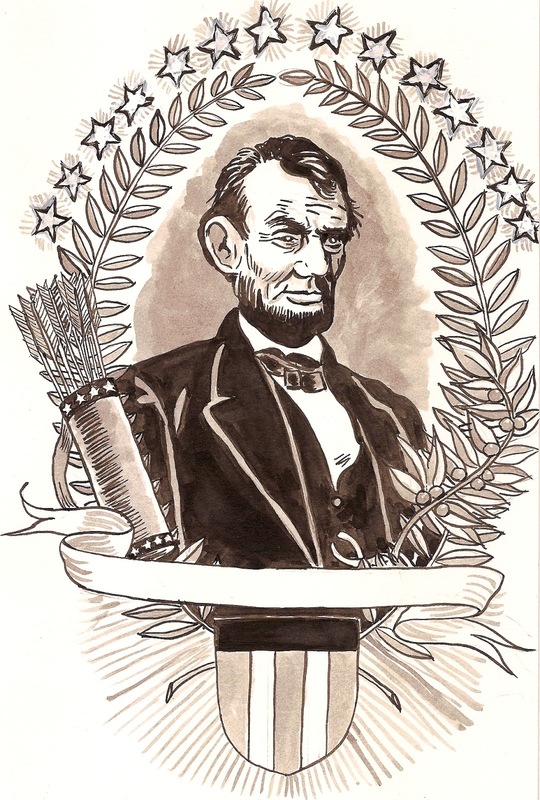 My book (along with artist Erin Kubinek), A Children's Illustrated History of Presidential Assassination,will be hitting the Kickstarter phase before the end of the month. That portrait of Lincoln above is some of the art she's producing for the book. It's really great looking stuff and the book is truly going to be something special. I'll have more details about that in the coming weeks. One thing I can reveal is that it will be published by Silence in the Library and after how well Time Traveled Tales went on Kickstarter, I'm hoping this will do even half as well. The next big announcement is that I'll be on a number of panels and be signing books at Dragon*Con as well as Salt Lake City Comic-Con, both taking place early next month. I'll be posting my tentative schedules for them as I get them. I've also been collecting new entries for my list of writing tips and will be adding an addendum to that soon. Be on the lookout! There's cool stuff coming.